I love the dryer lint fire starters, but they’re kind of bulky to carry around with you every day. 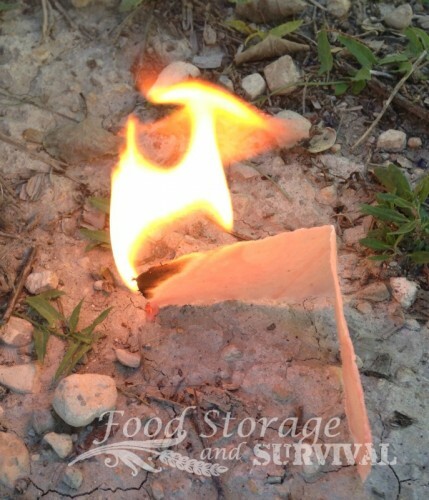 So today I’m going to show you how to make a fire starter that is lightweight, flat, and easy to carry with you every day based on one I was given by Leon Pantenburg of Survival Common Sense. Natural fiber fabric. Cotton or linen will work best and burn with less odor than wool. 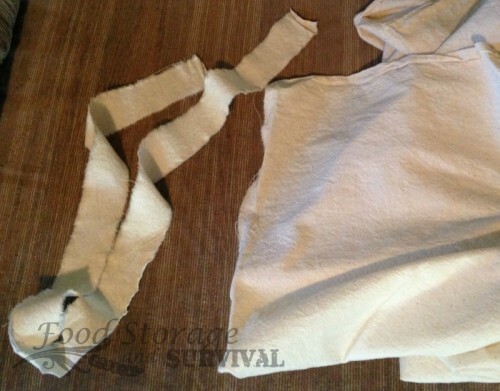 I used cotton muslin fabric–it is inexpensive and easy to find at any fabric store. You could also use fabric from an article of clothing like an all cotton shirt or handkerchief. Wax. You can purchase paraffin wax or use wax from old candles, crayons, or scented wax melts (just make sure you like the smell if you’ll be carrying it in your wallet!). Candles are one of the items I look for at garage sales and thrift stores and stock up on for cheap. 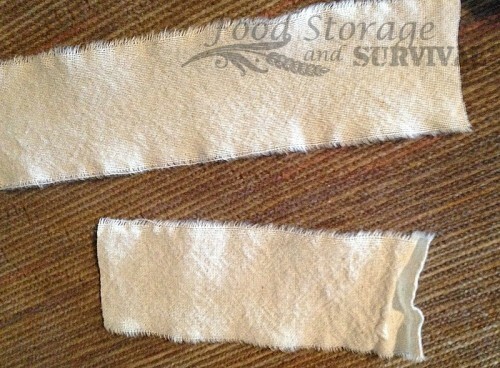 Cut or tear your fabric into pieces that are approximately 1 3/4″ wide by 5 1/2″ long. If you make a little cut across the selvedge edge (side) of the fabric, most times you can tear your fabric so it “cuts” strips nicely. Melt your wax in a double boiler. I use a large can the size you can purchase juice in placed in a pot of water. Whatever you melt your wax in will be waxed its entire life, so don’t use a pot you love. Just get a can. 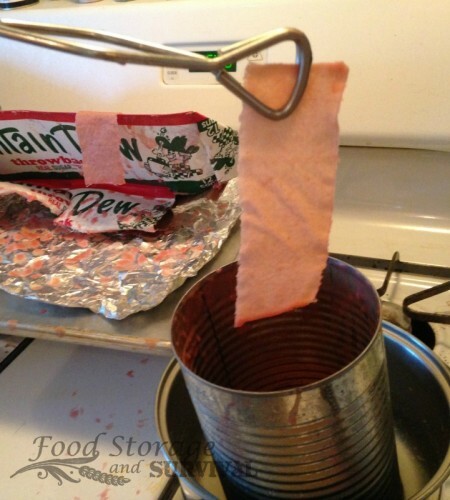 Using tongs, dip the fabric strips into the melted wax. Pull them out and hang them to cool. Hanging allows the excess wax to drip off them. 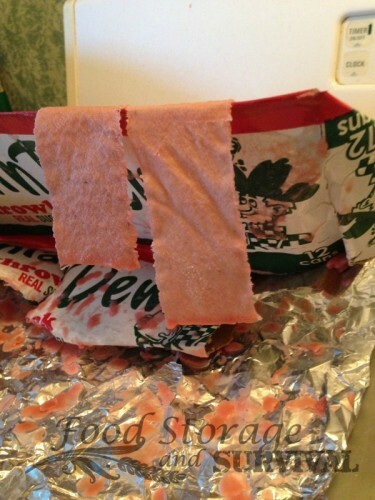 I rigged up a hanger using an old soda box (not mine) and foil to protect the cookie sheet that was supporting it all. 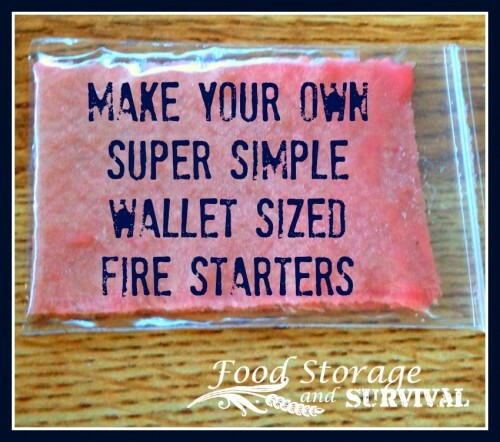 Once they are cooled, fold the fire starter in half and it fits perfectly in your wallet. 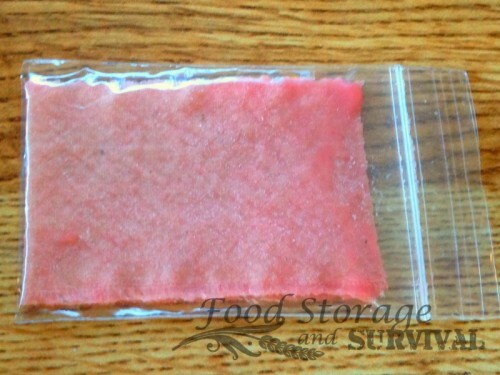 Wrap it in foil or use a small (2″ x 3″) bag to hold it so it doesn’t melt onto your money! 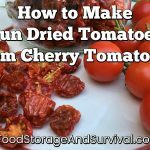 These can also be used in an emergency kit. To use it, you can light it whole or tear off strips and light one corner. A whole wallet sized fire starter burns approximately 2 1/2 minutes. This is such a cool idea. It looks easy to do and wont take up much room either. Thanks for the tip.